Finding your way in the murky waters of career choices can be an intimidating, not to mention confusing task. And while some individuals may have a clear vision of what they want to be and achieve in life, for the majority, they have only the vaguest idea of what direction they want to head in. 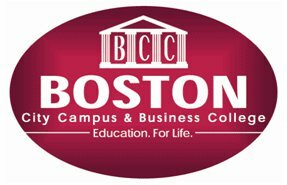 Boston City Campus & Business College has a strong ethic of helping their students – and this starts from the moment they make an enquiry. Finding the right choice of career path is imperative to ensuring a happy and successful experience for everyone, which is why Boston offers free computerised career compass assessments at their over 40 branches nationwide. Anyone interested in furthering their careers can complete this computerised assessment where one of the career counsellors will facilitate the process. The questions aim to match the student’s interests and skills, placing answers in suitable categories, ranking from the highest to the lowest category in graph form. Post-assessment career counselling assists the student to consider the specific career options available. What kind of person are you: Are you an introvert, shy, practical, intellectual, follower, and happy to get on with your own work? Or are you an extrovert, loud, creative a leader and a persuader? This will determine whether you should be in a career where you interact with people and manage teams, or one that is more solitary. What are your talents and/or interests: What gets you excited or what are you passionate about. If you choose a career in an area that you are already interested in then you are more likely to excel and be successful. Follow a leader: It is always a good idea to get an idea of what a job is like in reality. Try and job shadow a person already in a career you are interested in – the reality will let you know if it’s what you’re after, or it may not be so appealing. What are your values: It is important to be honest with yourself – are you motivated by money, security, status, creativity or do you want to make a difference in people’s lives? Success means different things to different people: It’s important to realise that there is not just one definition of success. Think about what success means to you when choosing your career. Network: Build relationships with people in different industries or careers. Listening to others talking about their experiences in their jobs will help you determine if you can see yourself doing the same thing.